Jeremy Corbyn may not be able to save the Labour Party, but there's a reason why the British establishment fears him. They can stop the pretense now. For a long time, we’ve heard that Liz Kendall is the Labour leadership candidate that Conservatives most fear. The right-wing media and the Tories always claim to be scared of Labour choosing the most right-wing, Tory candidate — the one the Conservatives and right-wing media fawn over and praise and grovel to — as their leader. It is part of a deep ideological strategy since, if it is repeated often enough, its premise — that the electorate is fundamentally right-wing and all political questions must be solved in a right-wing way — will be taken for granted. That claim won’t stand now. Having patronized Jeremy Corbyn, then laughed at him, they now offer a stream of constant panic and hate. Every day there is a new twist on the same basic theme. Corbyn’s backers repent to their media inquisitors: they didn’t actually mean for him to stand a chance. 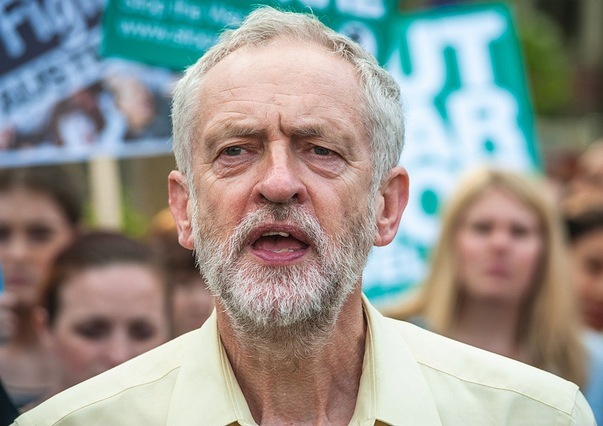 Labour right-wingers threaten to split if Corbyn wins. Labour members of parliament plot a constitutional coup if Corbyn wins. Back to the Social Democratic Party if Corbyn wins (please let that be true). Back to the 1970s if Corbyn wins. Back to the USSR if Corbyn wins. Sputnik triumphs again if Corbyn wins. Commies plotting to steal the Labour Party, Harman urged to cancel the election. And it isn’t just the reactionary press: this is wall-to-wall, from the populist right to the center-left. The liberal pundits, from Jonathan Freedland to Helen Lewis to Suzanne Moore to Anne Perkins, all offer much the same kind of vicious condescension: Corbyn supporters are either simple-minded, tribal thugs from the paleolithic era, or hysterics who think with their emotions and hormones, or sun-stroked hippies who think of little but rainbows and fluffy wuffy clouds. Even this relatively friendly piece from the Guardian can’t restrain itself: “They don’t understand the nuanced messages and triangulations of the other candidates . . . furrowing her brow to show incomprehension . . .” And so on. So, let’s be clear. The candidate the Conservatives are most frightened of is Jeremy Corbyn. They know this isn’t 1981, and they know that he isn’t an erratic egomaniac. They know that in an unstable ideological climate in which the dominant parties have an increasingly shaky relationship with their traditional base, unexpected things can happen. It is precisely the opposite of what former Prime Minister Tony Blair claimed: there is no guarantee of any “traditional result.” They have no idea what the result would be if Corbyn actually won because they had no idea that Corbyn even stood a chance. And, remarkably, he does stand a chance. The YouGov poll putting him some twenty percentage points ahead of his nearest rival, Andy Burnham, and giving him a comfortable lead with second preferences, may be wrong, but it can’t be that wrong. Even taking into account that the number of those who hadn’t made up their mind yet was a fifth of respondents, he’s certainly far from being as totally out of the running as I would have expected. So, yes he can. This is not say that he will: the right wing of Labour is resourceful, and well-connected. The spew of Project Fear articles against Corbyn in the press — including the liberal media — denouncing Corbyn in the most infantile terms possible, could very well be effective. But let’s hope they aren’t. Let’s hope that Labour Party members break out of that cycle of internalized defeat and hopelessness. Let’s hope they’re angry enough at being used, abused, mistreated, and condescended to by the pundits, and above all by the scumbag Blair, that Project Fear backfires this time. So, Corbyn could win. This does not mean that I am going to pay my £3 and join up as a “supporter” in order to vote for him. There’s quite a lot of bandwagon-hopping at the moment — it was the same with the Greens last year — and joining the Labour Party just to have a vote and then leaving is pointless. Why vote for Corbyn if you’re not going to hang around and try to support him and try to reconstitute the Labour Party? He’ll be weak enough against the established power of the old right-wing bureaucracy, without a big chunk of his base departing the day after the polls close. Corbyn will not win by pulling in outside forces who have no interest in the Labour Party’s long-term future, and no identification with it; he will win by shaking up the Labour Party, and drawing in new members who are just becoming politicized. I think Corbyn winning would open up serious opportunities for the Left. It would put the austerians on the defensive. It would give confidence to trade unionists, National Health Service workers, campaigners against welfare cuts, antiracists, and every group that Labour presently shows utter contempt toward. However, while the Labour right is ideologically weak, it is not politically weak. Its popular base is much narrower than it used to be, but its congealed institutional power is considerable, while the Left is almost trying to rebuild a social base from scratch and hasn’t had a dominant position in any part of the Labour Party for about thirty years. Labour’s structural relationships with the state, with business, and with the media, enhance the power of the Right considerably. Corbyn, as leader, would be a sitting duck for right-wing attacks, and he would be under constant pressure to abandon left-wing positions. He would feel a responsibility to present a united opposition to the Tories, prevent his shadow cabinet from falling apart, limit the pressure from the civil service, the media, and inevitably the spooks. He would be forced to compromise, continuously, on what is currently a moderate left agenda. His leadership would be incredibly vulnerable. In short, the state of the Labour Party is not something that can be changed in one leadership race, as it is the accumulated result of decades of class struggles and their outcomes. However, that tactical point doesn’t change the overall situation, and it doesn’t mean we don’t have a responsibility to support Corbyn’s bid, and undermine Project Fear, in whatever ways we can. It’s not just the Labour left that is weak. It is the Left as a whole. Yes, Corbyn would be relatively isolated at the top, and top-heavy successes are extremely vulnerable. Yes, he will be trying to shift the balance of forces in favor of the Left, in a situation in which our forces are incredibly depleted. But it is a structural aspect of today’s situation that in the growing vacuum created by the breakdown of the old party-base relationship, individuals and groups can suddenly project influence well beyond their actual social basis, if what they say finds an ideological resonance in lived experience. We don’t get to change that just by force of will. So we have to work with the grain of our few advantages. Corbyn has made a breakthrough, and that presents opportunities that it would be stupid and irresponsible to opt out of. Jeremy Corbyn may not be able to save the Labour Party, but there’s a reason why the British establishment fears him.